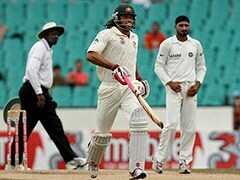 A two-time World cup winner, Andrew Symonds is a former all-rounder of the Australian cricket team. His aggressive batting, exceptional fielding and occasional spin/seam bowling has earned him a respectable status in the Aussie side. 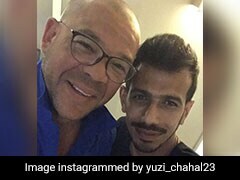 Yuzvendra Chahal Has A Special Message For "Symmo Uncle"
Symonds’ international debut came in 1998 in an ODI against Pakistan in Lahore. He is best known as a one-day international player scoring runs at an excellent strike rate of 90 and above. The 2003 World Cup campaign saw his place being cemented in the national side as a specialist ODI player. His Test debut came exactly a year later against Sri Lanka in 2004, owing to his one-day performance. Consistent form and the retirement of senior Aussie players led to his on and off recall in the squad, giving him further chances to prove himself. In 2008, Symonds signed up with Deccan Chargers for the first IPL season and continued to represent the franchise till 2010. Although he missed out most of the second season, he contributed majorly towards the end of it, resulting in the team’s victory. He became a newly acquired player of the Mumbai Indians in 2011, where he spent just one season before announcing his retirement from all forms of the game.